This is the ultimate in fresh taste. There are no extras to distract your palette from this fresh bite of summer. And how can it not be great for you? 1. 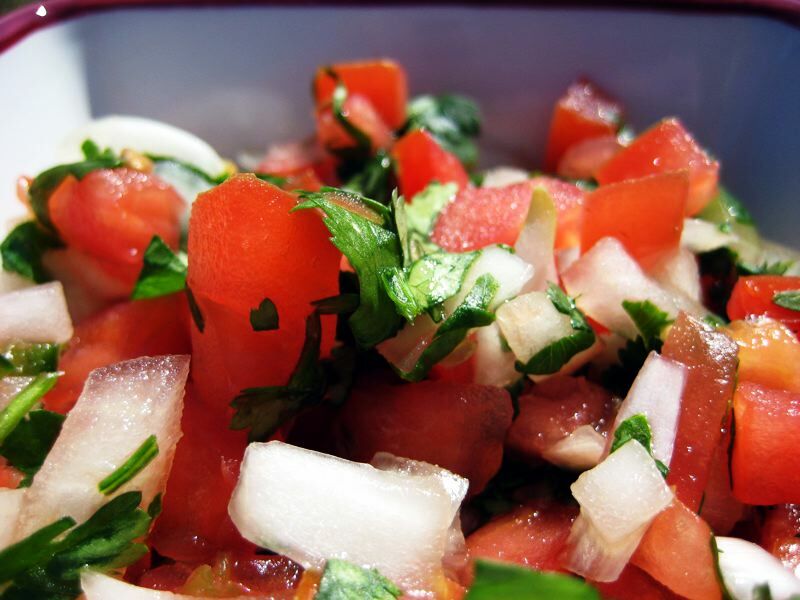 Combine tomato, onion, lime juice, cilantro and salt in bowl. 2. Allow to sit for a couple of minutes then taste. Now is the time to add more salt or lime if you like. If you do this taste test after adding the jalepeno, it will be more difficult to discern. 3. Add jalepeno pepper. This can be tricky as the heat of the jalepeno can range from bell pepper mild to eye-watering hot. Best to start small. Add some to the salsa, give it a good stir and then taste. Too mild? Add more, stir and taste. Repeat till satisfied. Do not use sweet onion! If you like extra mild salsa, just omit the jalepeno. Keeps in refrigerator for up to 2 weeks. Good on eggs, refried beans, steak and just about anything you can imagine. Bonus Recipe: A Fresher Bloody Mary using the juice produced by this recipe. Mmmmmm. this sounds so delish. i make fresh salsa too, but i like this variation!